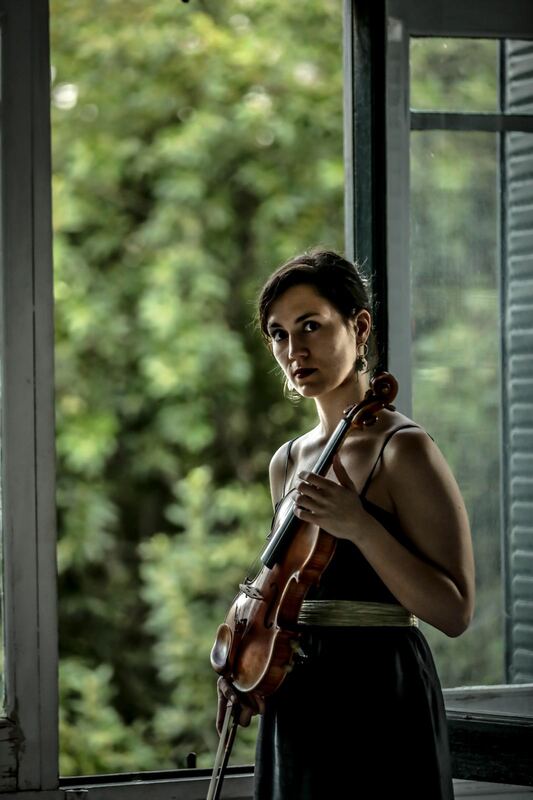 Based in Madrid, Blanca Fernandez performs as soloist, orchestral and chamber musician in Spain and throughout Europe. She presents herself as a versatile musician, playing repertoire from period to contemporary performance. Recent solo performances include appearances with the Orquesta de Cámara Andrés Segovia as the winner of the Juventudes Musicales scholarship competition, Orquesta Iuventas or Orquesta UPM. As a soloist Blanca has been awarded several prizes such as the Santander UK Universities Award or the first prize in the Stratford Music Competition. She has recorded life for both Televisión Española and Classical Planet and has been interviewed by Cadena Ser. She performs chamber music regularly as a member of Trío Mosaicos and the contemporary music group Ensemble Sonido Extremo. Some performance highlights include appearances at St. Martin in the Fields, Astona International (Switzerland), Aurora Festival (Sweden), Wigmore Hall String Quartet Festival, Auditorio 400 Reina Sofía, Gaulitana Festival (Malta), Teatro Colón (A Coruña) and Teatro Real in Madrid. Blanca plays regularly with the Orquesta de la Comunidad de Madrid and has wide experience as an orchestral musician, appearing with ensembles such as the London Symphony Orchestra, Schleswig-Holstein Festival Orchestra and the Classical Concert Chamber Orchestra, under the direction of Valery Gergiev, Gordan Nikolic, Michael Sanderling, Sir Colin Davis, David Newman, James Gaffigan and Christoph Eschenbach amongst others. Blanca is the artistic director of Festival Luigi Boccherini in Arenas de San Pedro (Ávila). Born in Madrid in 1991, Blanca finished her Master’s degree in violin performance with distinction at the Royal Academy of Music London in 2015 with Maurice Hasson. She completed her Bachelor’s degree in 2013 under the professorship of Detlef Hahn at the Guildhall School of Music & Drama. As well as learning the violin, Blanca has pursued studies in viola with Professor James Sleigh at the Royal Academy of Music as well as baroque violin with Pavlo Beznosiuk, playing with the Academy of Ancient Music and taking part in the Festival de Música Manuel de Falla, Granada. Her studies have been generously supported by the Royal Academy of Music, Juventudes Musicales de España, Banco Santander, The Community of Madrid, Sociedad de Artistas Intérpretes o Ejecutantes Españoles (AIE) and Astona International in Switzerland. She currently studies with Prof. Lorenza Borrani in Fiesole, Florence. She has also received mentoring from violinists such as Maxim Vengerov, Virginia Robilliard, Yuri Zhislin, Yossi Zivoni, David Zafer and Dora Schwarzberg. She has also studied with Prof Ida Bieler in Kunstuniversität Graz, Austria. As a chamber musician, she has been regularly thought by members of The Belcea Quartet and The Endellion Quartet, and has had lessons from respected chamber musicians such as Pavel Fischer, Miguel da Silva, Rita Wagner or Xavier Gagnepain. Blanca plays on an Andreas Hudelmayer violin from 2011 and an Emmanuel Carlier bow.